When Britain sneezes, the world catches a cold? 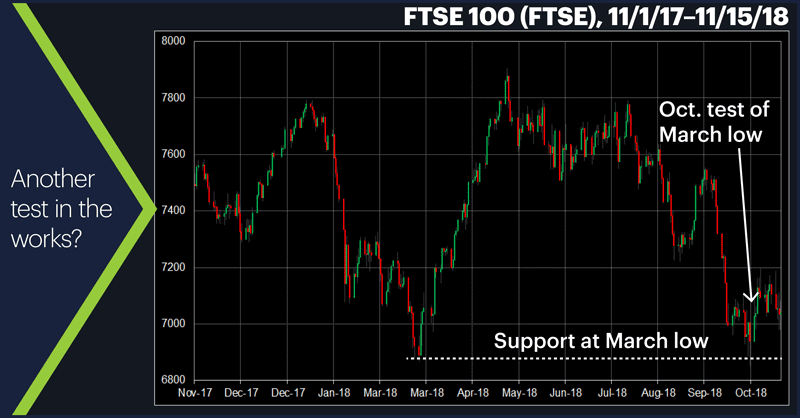 So, the FTSE is trading a little above a big, fat support level (approximately 6,850-6,950) that could very well have a lot of sell-stops just below it. 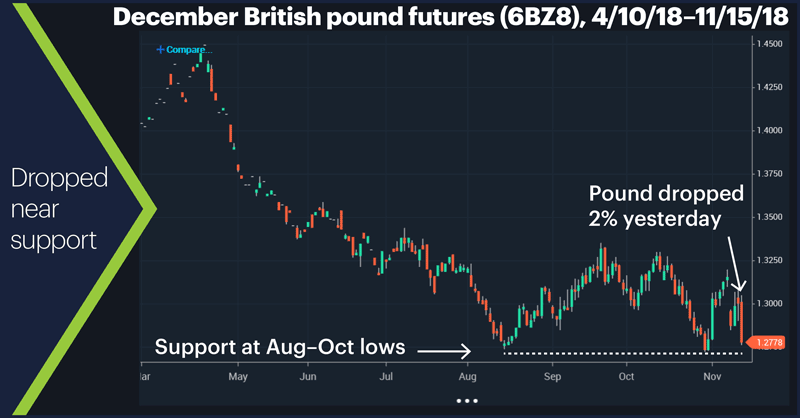 There’s no reason the UK stock market and the British pound can’t bounce a third time off their respective support levels. 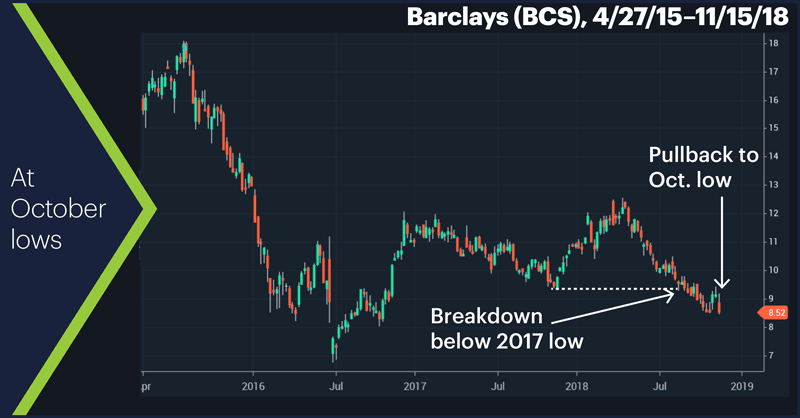 But an absence of good news out of London in the near future could pull the rug out from under these markets as they dance around key levels. Market Mover Update: Yesterday, January crude oil futures (CLF9) gained ground for a second-straight day, but as was the case on Tuesday, the market closed well off its intraday high. Bitcoin followed up on Wednesday’s -12.3% breakdown below the longstanding support level around $6,000 with a 6% intraday drop yesterday, bringing the December futures contract (BTCZ8) to $5,155, its lowest level since the market began trading last December. The market pared its losses later in the day, though. Today’s numbers: Industrial Production (9:15 a.m. ET). Today’s earnings include: Helmerich & Payne (HP), Viacom (VIAB). 1 Economist.com. The beginning of the endgame for Brexit. 11/15/18. 2 Bloomberg. Brexit’s Endgame Turns Endless, Sinking U.K. Domestic Stocks. 11/15/18.